Earlier this week, Haruo Nakajima passed away. 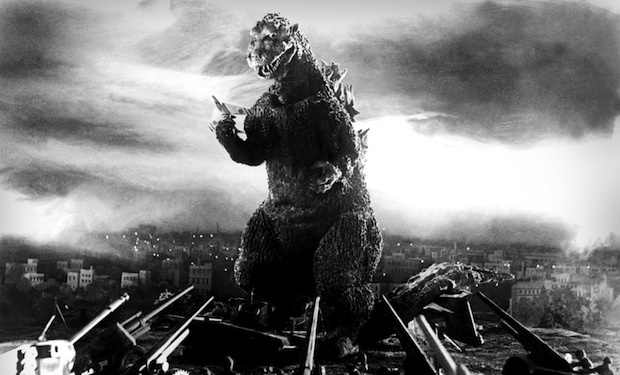 The man was the original Godzilla – or at least the man in the suit. It’s hard to imagine what the kaiju landscape would be like without Nakajima’s contributions as he brought the lumbering colossus to life. As a tribute to him, I felt it was appropriate to tackle the original Gojira film this week. 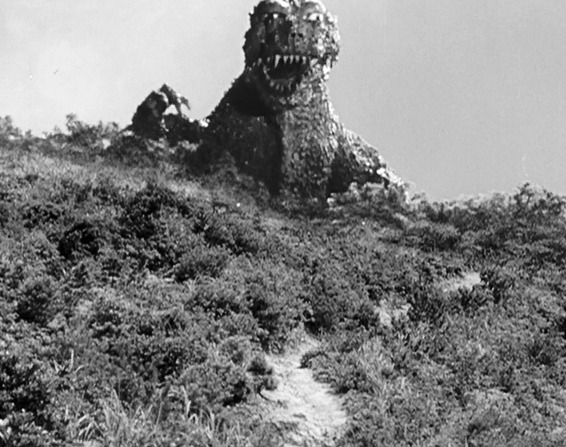 Aside from perhaps King Kong, there is no movie monster more recognizable than Godzilla. Officially recognized by Guinness as the longest running franchise in film history (beating out James Bond by nearly a decade), he has starred in 29 Toho releases and two American films among numerous other projects. Godzilla is an icon of cinema, a cultural reference point for the kaiju genre. Everything from his look to the atomic breath to the roar is most likely recognizable to someone who hasn’t even seen a Godzilla movie before. But despite occupying the same kind of space in our collective conscience as Mickey Mouse or Superman, Godzilla is much more than a kid friendly lunchbox character. 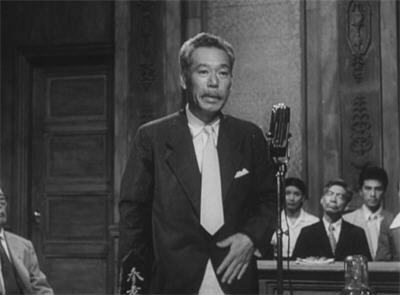 1954’s Gojira is not only a landmark film for its visual effects or its quality, but because it was director Ishirō Honda’s response to nuclear attacks on Japan in World War II, as well as the potential damage of continued nuclear testing. It’s a far cry from what the monster is most frequently associated with. So let’s take a look at Gojira. 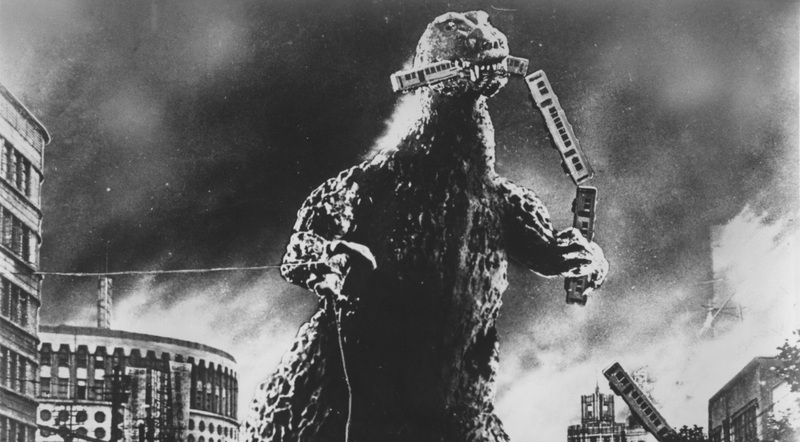 Gojira is pretty bare bones when it comes to story; nuclear testing awakens an ancient monster, the monster attacks Shinagawa and leaves it a mess, and people try to figure out what to do with the monster. The great Takashi Shimura (Seven Samurai among other great films) plays paleontologist Dr. Kyohei Yamane, who does most of the expositing on Godzilla. Yamane’s daughter is caught up in a love triangle between Ogata, a sea captain, and Serizawa, a scientist she was arranged to marry. Serizawa might have the key to destroying Godzilla, but like Robert Oppenheimer, he is reluctant to let his technology be used as a weapon. Despite it’s simplicity, Godzilla works because of its visual effects spectacle and because of its prescient message. Honda was a World War II veteran who became a pacifist after seeing the remains of Nagasaki, and wanted to make a film right away. It had to wait as American occupation censored films heavily; Gojira was one of the first films allowed to depict the military and deals not only with the grief of WWII bombings, but with the fear of what might happen if the Cold War participants continued their nuclear testing. The events are referenced verbally but even more so in the visuals of destroyed buildings and terrified homeless victims of Godzilla’s attacks. The film is unsubtle in its message, but it is effective nevertheless. 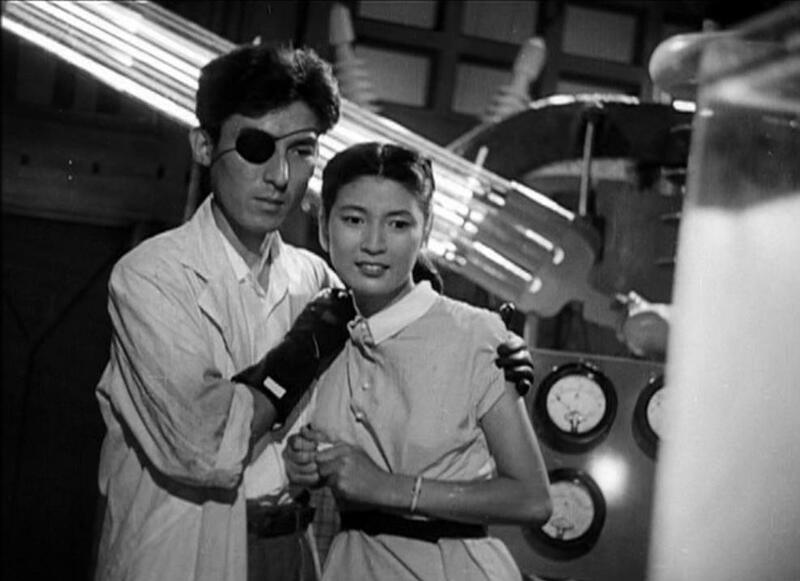 As for the visual effects, Ishirō Honda was originally planning to use stop motion effects but was convinced that suit motion and miniature effects was the better way to go. Godzilla is brought to life by stunt performers and a design team that combined aspects of a t-rex, iguanodon and stegosaurus to create a distinct monster. 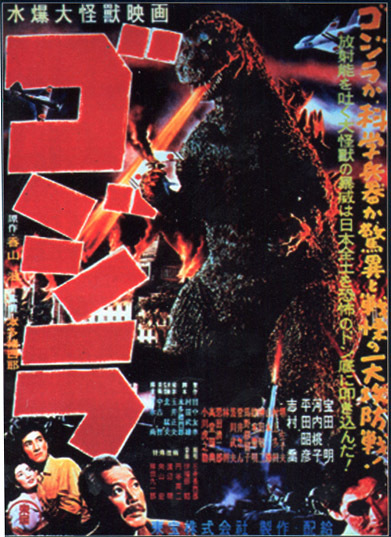 Combined with the destruction effects, sound design and Akira Ifukube’s iconic score, the movie effectively cemented Godzilla’s image into pop culture. While technology changes, his basic appearance, the roar and the music has endured. Arguably, nothing went wrong with Gojira. There are dated effects, to be sure, but they don’t look any more artificial than anything else Godzilla has starred in. I could understand the argument by some that the franchising has lessened the impact of the original film, but I disagree. If it weren’t for campy, exciting family friendly Godzilla, who knows if this version would still be talked about outside of Japan? To me, Gojira is a stone cold classic. It’s not high art, and probably wouldn’t make a top ten list of best Japanese movies. But it absolutely belongs in the conversation with films like Frankenstein, Jaws, Superman and other tentpole films with larger than life characters. It has something to say that still matters, and it said it in a way that was entertaining, at times chilling, and certainly long lasting. Whether you are a monster movie fan or not, you owe it to yourself to see Gojira ar least once. I log reviews for every film I see, when I see them. You can see my main page here. Recent reviews include M, Split and The Big Sick.